An avenger from another world. The Warlock seeks revenge over the Karquul who have lain waste to all he held dear. The Warlock controls a wide range of mystical unholy powers. 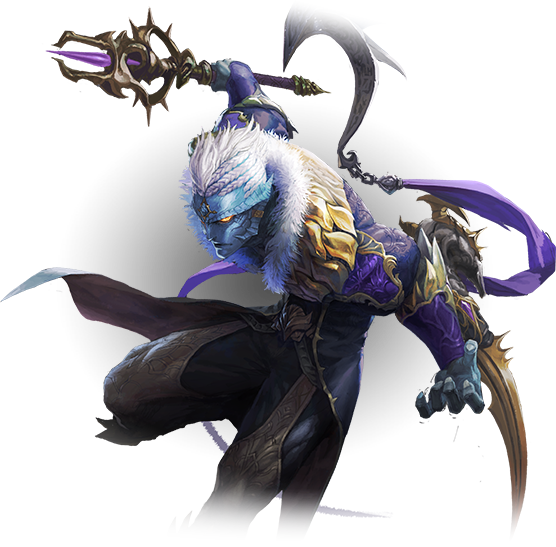 Marrying ranged and melee attacks, he represents a new dynamic of combat. Harnessing diabolic Curses and Death itself, the Warlock drives his enemies mad with despair. Specializes in dealing massive amounts of damage over time by wielding an array of profane curses. Stacking damage, the Tormentor can easily overwhelm an enemy. A deadly master of melee combat, Reapers leach power from their foes to destroy them. Summoning unholy forces, they quickly adapt to any situation to send foes to an early grave.